We’d love your help. 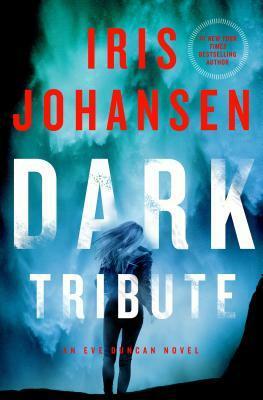 Let us know what’s wrong with this preview of Dark Tribute by Iris Johansen. Despite her tragic childhood, violin prodigy Cara Delaney has finally found peace in her career as a professional musician and stability in her relationship with her guardians, forensic sculptor Eve Duncan and ex-Navy SEAL Joe Quinn. I New York Times bestseller Iris Johansen is back with another high octane thriller that will leave your mind racing and your heart pounding. To ask other readers questions about Dark Tribute, please sign up. Althea Mason No this is a fictional book. Althea Mason No, this is a fictional book. You can never go wrong with Iris Johansen as she always entices readers from start to finish with her incredibly moving novels that will thrill then chill then set you on a path to pure adrenaline fight or flight responses. In Dark Tribute she once again doesn't disappoint as Cara Delaney thought she found her perfect life. She has an awesome career a nice loving relationship with her guardians (Eve and Joe) but what is missing is romance with Jock. Her lifelong friend won't give her the time of You can never go wrong with Iris Johansen as she always entices readers from start to finish with her incredibly moving novels that will thrill then chill then set you on a path to pure adrenaline fight or flight responses. Her lifelong friend won't give her the time of day and worse she's just been kidnapped by someone from her family's past. Her life is now hanging in the balance in danger of the light being extinguished but she must stay alive because life has so much more to offer or does it? Check this one out ASAP you won't regret you did! In fairness to the author this is the 24th bookin the Eve Duncan series and I have not read any of the others. Also, in fairness to her, this is a review of an ARC. Both of these probably are responsible for the 2 star rating on this Eve Duncan adventure. In actuality, Eve Duncan did not play a very large part in the story but her son, Michael and her daughter, Cara were the two main characters--other than Cara's grandfather and the villain of the piece, an insane old adversary of his, Svardak. w In fairness to the author this is the 24th bookin the Eve Duncan series and I have not read any of the others. Also, in fairness to her, this is a review of an ARC. Both of these probably are responsible for the 2 star rating on this Eve Duncan adventure. In actuality, Eve Duncan did not play a very large part in the story but her son, Michael and her daughter, Cara were the two main characters--other than Cara's grandfather and the villain of the piece, an insane old adversary of his, Svardak. well as her relationships with Eve and her family and a former killer, I guess, Jock were all unfamiliar to me. It was therefore difficult to get into the present interactions with any understanding. Nevertheless, I found Cara to be rather irritating, her romantic involvement with Jock improbable and lack of understanding of Kaskov immature. As to Michael, precocious ten year olds have never been intriguing or cute or intelligent to me. The basic plot could have been interesting if this were a stand alone book and if it had not been so repetitive and padded with unnecessary rehashing of --you can't be here, protect her, she broke the connection or he did, music is the only reason to be involved, etc, etc, etc. Of the many characters in the Eve Duncan universe, Jock is one of my favorites and one that I wish they would explore more. Jock and Cara finally confront the nature of their relationship before it is threatened by someone from her grandfather's past. Michael becomes very protective of Joe, and he, Joe and Eve help Cara overcome the latest threat. I honestly knew from the moment they introduced Cara as a child that it was headed in this direction and I had issues with it at first. I do like the Of the many characters in the Eve Duncan universe, Jock is one of my favorites and one that I wish they would explore more. Jock and Cara finally confront the nature of their relationship before it is threatened by someone from her grandfather's past. Michael becomes very protective of Joe, and he, Joe and Eve help Cara overcome the latest threat. I honestly knew from the moment they introduced Cara as a child that it was headed in this direction and I had issues with it at first. I do like the way they handled the relationship. I really am getting to the point that the Kendra Michaels books are the ones that I like the most ( and that one kind of jumped the shark), but Iris has temporarily redeemed herself a little with this book. I'm starting to get Eve Duncan fatigue from what I've noticed. Still a great book, but I was not as hooked on the story as before. I found the dialogue forced, and Michael, the kid, had such a rich vocabulary that even most adults don't speak the way he did in the book. No matter what kind of an old soul a child is, he still needs several Earth years to learn proper grammar, vocabulary, and speech. A preteen is simply not capable of speaking the way Michael spoke at times. Full review at https:// I'm starting to get Eve Duncan fatigue from what I've noticed. Still a great book, but I was not as hooked on the story as before. I found the dialogue forced, and Michael, the kid, had such a rich vocabulary that even most adults don't speak the way he did in the book. No matter what kind of an old soul a child is, he still needs several Earth years to learn proper grammar, vocabulary, and speech. A preteen is simply not capable of speaking the way Michael spoke at times. When Cara is kidnapped by a psycho everyone rushes to save her but Cara has changed during her time with the madman and actually does a decent job of saving herself. Her only worry now is his threat to her family. When Joe is captured Cara works with her Grandfather to end the madman's life once and for all and bring Joe safely home. But it's Michael's special abilities that allow them to find Joe in time to save Joe's life. Cara also manages to get Jock in her bed FINALLY. This is the first book I read by Iris. I know, I should start from the beginning of the series, but I won the giveaway. Anyway, I'm not into "Godfather" type plots nor telepathy, so this book wasn't my cup of tea. This book takes the series in a new direction - Jock and Cara's story - a thriller! I'm pleased to say I won an ARC of this book through a Goodreads giveaway, and reading it felt like a reunion with old friends. The earliest books in this series made me fall in love with this writer's ability to keep me on the proverbial edge of my seat, and her characters felt so real to me, I could hardly wait until the next book in the series was released. Then, I somehow lost interest about midway through the series, because the stories didn't seem quite as riveting or fresh anymore. But this I'm pleased to say I won an ARC of this book through a Goodreads giveaway, and reading it felt like a reunion with old friends. I absolutely loved this book. It was filled with so many twists and turns and unforeseen events. I would say that the focus of the book is more on Cara and not so much Eve Duncan though as Eve is not really the main focus of the story, Cara is. The characters are evolving so much in this book and there is a lot being revealed about Michael. The relationship that is evolving between Cara and Jock is absolutely amazing. Iris Johansen does it again at the end where she dangles a carrot in front of I absolutely loved this book. It was filled with so many twists and turns and unforeseen events. I would say that the focus of the book is more on Cara and not so much Eve Duncan though as Eve is not really the main focus of the story, Cara is. The characters are evolving so much in this book and there is a lot being revealed about Michael. The relationship that is evolving between Cara and Jock is absolutely amazing. Iris Johansen does it again at the end where she dangles a carrot in front of you and then makes you want until the next book for the story to continue. 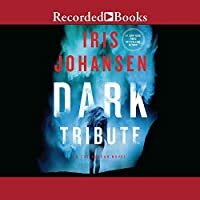 It is pure torture as I think I know what is going to happen next with Cara, but Iris Johansen just leaves you in the dark. I won an ARC of this latest Eve Duncan novel by Iris Johansen so I really wanted to like it. Unfortunately, the characters and the plot just weren't what I like to read. Other than Eve, Joe and sometimes Michael, I didn't like the characters. I am not a fan of damsels in distress (Cara), strong, silent heroes (Jock) or forever adversaries and villains like the grandfather and the kidnapper. I looked back at my reading history because I wondered why I had entered the giveaway and I had read Eve I won an ARC of this latest Eve Duncan novel by Iris Johansen so I really wanted to like it. Unfortunately, the characters and the plot just weren't what I like to read. Other than Eve, Joe and sometimes Michael, I didn't like the characters. I am not a fan of damsels in distress (Cara), strong, silent heroes (Jock) or forever adversaries and villains like the grandfather and the kidnapper. I won a copy of those book from Goodreads giveaways, I was not required to give a favorable review. This is one of those books that is so good you don't want to put it down but sometimes the intrigue is almost overwhelming. I loved it. Eve Duncan, her husband Joe, their on Michael are such a great family unit but they bring in other people into that family that may not be blood but might as well be. This time Michael is trying to bring Cara and Jock together in his own way but someone who is an I won a copy of those book from Goodreads giveaways, I was not required to give a favorable review. This is one of those books that is so good you don't want to put it down but sometimes the intrigue is almost overwhelming. I loved it. Eve Duncan, her husband Joe, their on Michael are such a great family unit but they bring in other people into that family that may not be blood but might as well be. This time Michael is trying to bring Cara and Jock together in his own way but someone who is an enemy of Cara's grandfather has kidnapped her and then threatens the rest of her family because he want her to be a tribute to his dead sister that was killed by Cara's grandfather years before. But she and her family deserved it after they did to him. He is a very sick man but the intrigue in this story keeps you reading. Violence erupts when a mysterious man . . . one of Sergai Kaskov’s many enemies . . . kidnaps Cara Delaney. Will her family find a way to rescue her or has Cara become another victim of her grandfather’s dark past? With all the expected characters in place, this sometimes-grim tale offers readers a twisty plot, unrelenting suspense, unexpected reveals, and a stunning game-changer. The twenty-fourth in the Eve Duncan series, the tension-filled narrative is sure to please readers of the series. Rec Violence erupts when a mysterious man . . . one of Sergai Kaskov’s many enemies . . . kidnaps Cara Delaney. Will her family find a way to rescue her or has Cara become another victim of her grandfather’s dark past? Love the Eve Duncan series and all of the characters. If you have read the series, then the characters make more sense. If you are jumping in at book 24, then the actions and reactions of the characters will make no sense. I did enjoy the book, though it wasn't my favorite in the series. I does, however, bring new personality and boldness to Cara and some interesting insights into Michael. If you follow the series, it is definitely worth the read. Thanks to St Martin’s press for my free advance reader copy of this book. This is quite a dark thriller with an interesting plot and a lot of back story. This was my first Iris Johansson novel and I think I struggled at times by not having the prior knowledge about the characters that was at times referenced, and is probably in previous books. I did enjoy it, but at times wished I just knew a little more background. This book is so intense! There’s action, suspense, mystery and so many feelings. It’s incredibly angsts. I love the interactions between Jock and Cara. Their relationship has grown into something much more. We really get to see a new side to Michael. I was on the edge of my seat frantically turning the pages as fast as I could. This left a huge book hangover. Johansen has done it again with this intricate story of hate, love and revenge. The characters are sharply drawn as is the plot which will give every day people night terrors for years to come. Meeting returning characters especially the now 10 year old Michael who will steal your heart is always welcomed. Kudos to the master of Suspense. I am a big Iris Johansen fan and anxiously awaited this latest installment in her Eve Duncan series. I must say for the first time I was disappointed in this book and it did not capture my attention as the others. The character dialogue is often stilted and lengthy to the point of distraction. The book also lacks Eve’s forensic sculpting as a central plot point. Dark Tribute picks up the story approximately 10 years in the future from her last novel, with this one focusing on Cara Delaney, the young violin prodigy rescued in a prior novel. The plot is filled with twists and fast-paced action. I'm looking forward to her next novel, and continuing the story of Eve and Joe's young son, who played an integral role with his gifts. Another wonderful novel by Johansen. Cara is a violinist with a troubled past. She was brought into the family by Eve and Joe after being on the run. She was trained in New York and is now doing her own concerts. Her grandfather is a Russia mobster. In this book her grandfathers past is coming to get her. Jock, Joe, Eve and Michael come to the rescue. Jock and Caras story has been developing over time in to a will they won’t they. It was great to find that Cara tapping her inner super powers. The story was too formulaic in the beginning and not one of my favorite Iris Johansen books but he can’t stop now. Michael is growing up and in to his own uniqueness. He, Jock and Cara would be a phenomenal team. Looking forward to the next book. I read all the Eve Duncan novels as well as the spin offs. I love the characters which combine love, family, mystery, thrill and excitement. Always entertaining and hard to put down once you start one of her books. Wanted to rate higher but all of this activity was a little bit incredulous. I gave up on this series some time ago but thought I would try again. It was fun to get reacquainted with the main characters and I love Eve. But the story just was far beyond believable to me.